A Brief Introduction: What is GST? Goods and Service Tax Law or GST in India is one indirect tax levied on the goods and services right from the manufacturer to the final stage in the cycle – the consumer. It has replaced various taxes with different rates at multiple points, which include: service, luxury, VAT, sales and entertainment tax to name a few, in order to make compliance easy. It is a consumption-oriented tax wherein the goods are consumed and not oriented towards manufacturing in which goods are manufactured. This nationwide reform cannot function efficiently without implementing strict rules to it. The council has made a foolproof road map for the citizens to abide by the law by dividing it into three different categories. The GST levied by the state is called the State GST (SGST). It is levied on the intra-state movement of goods and services. As it is a state tax, the revenue processed is collected by the respective State Government. CGST stands for Central GST, wherein the revenue on the movement of goods and services is collected by the Center. Integrated GST or IGST is a reform levied on inter-state movement of goods and services. The revenue is collected by the Center. The main purpose of introducing IGST is to ensure a continuous flow of input tax credit (ITC) from one state to another. Registration is crucial to be GST compliant. Though the reform has been actively initiated already since July 1, 2017, throughout the country, you can still register if undone. The application of registration has to be submitted within 30 days from the date on which the person becomes accountable to registration. 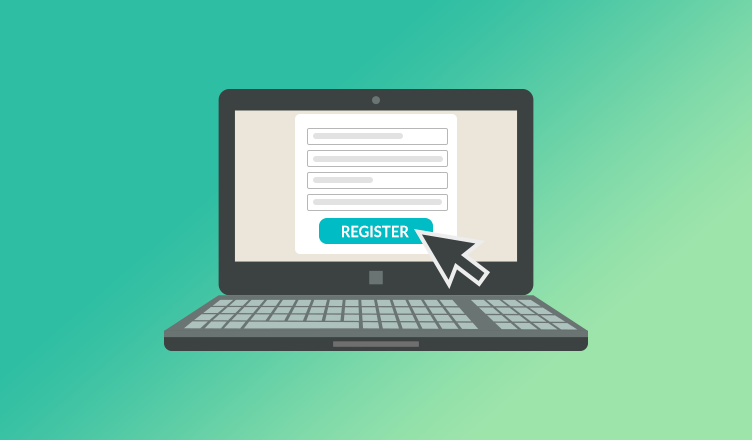 The registration process is quite simple and straightforward. Who can register for GST? Turnover Businesses: Individuals or entities involved in supplying products and services with an annual aggregate turnover of 20 Lacs have to register mandatorily. For some special states, the turnover criteria is 10 Lacs. If you own multiple businesses in a different or same state then you will have to register each business separately/individually under by providing your PAN card details. Inter-State Supply: If an entity supplies products and services in different states other than the home state, then it is mandatory to register for GST (irrespective of the annual aggregate turnover). For example, your business’ home state is Maharashtra, you supply goods and services in Tamil Nadu, Gujarat and Delhi then registration is needed. Existing Taxpayers: All entities having services, VAT or Central excise registration must be registered under GST. E-Commerce Sellers: Entities supplying products or goods over e-commerce sites/online are eligible for GST registration. If you are an e-commerce seller then you should go with a GST ready payment gateway help you scale up. Casual Taxable Persons: He is the one who occasionally undertakes supply of goods without having any fixed places of business. For instance, a person who sets up firework business only during Diwali. With this new reform, all the 8 million taxpayers are consolidated onto one platform for compliance and administration purpose. Goods and Service Tax Identification Number or GSTIN is provided to these taxpayers. The first 2 digits will represent the state code. The 14th digit will be ‘Z’ by default. Why is your registration declined? You have not completed the form or submitted all the required details or documents. In case of fraud, the offender is liable to pay 100% of the tax. In case of unintentional offense or genuine errors, the penalty is 10% of the tax due. In case of an offender not paying tax or making short payments, the penalty is 10% of the tax amount i.e. a minimum of Rs. 10,000. As GST is a unified duty reform it has the potential to reduce tax evasion, unified markets, increase in state revenue, improvement of tax governance and remove location bias. In its natal stage the new reform may seem like a misfit in the Indian economy, but in the long run with all the middlemen prices being eradicated this indirect tax reform will sturdy the country’s financial grounds. If you own an online business or are planning to start one soon, then GST for online business will guide you well. Is it required to apply for GST registration for an education promotional NGO (society) ?